All new invited users will be sent an email with a randomly generated password as explained below. Please see our guide on how to invite new users. 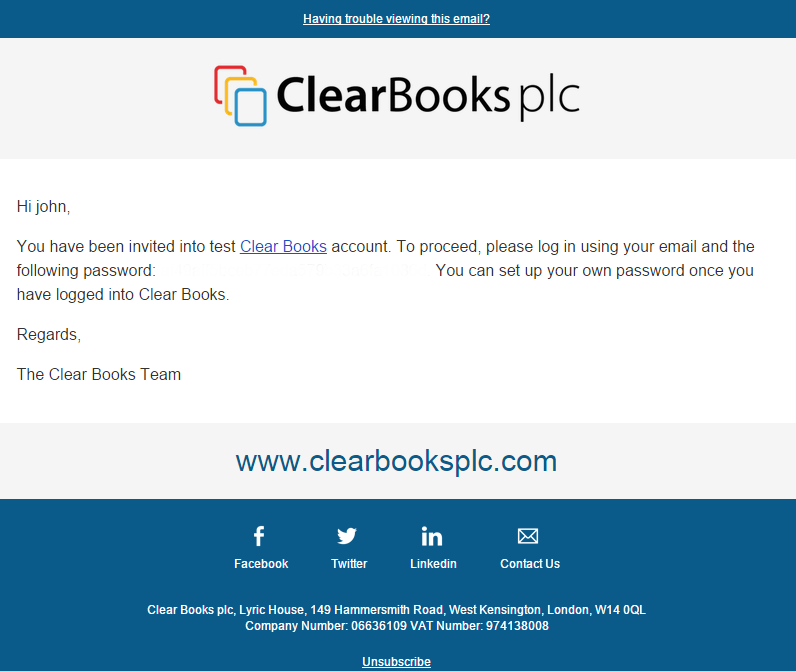 Once a new user has been invited in to the account, the invited user will receive an invitation to their account via an email from the address no-reply@clearbooks.co.uk. This email will display a password generated for the new user to login. The new user will then need to head to https://www.clearbooks.co.uk/and use the login button at the top right of the page. Once the new user has logged in with their password generated in the email they can update their password from within the account.